Congratulations! Bar Passers 2014. 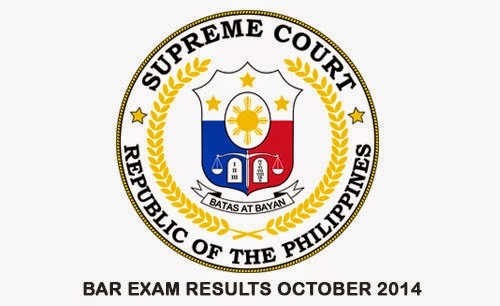 The Supreme Court released the official results today, March 26, 2015. The list of passers with a surname starting from Y and Z are now listed on this page. According to Atty. Theodore Te, SC Spokesman said, the names of the Bar passers will be posted outside the compound of the High Tribunal in Manila and through their official website. The 2014 Bar exams also featured the use of Bar codes in the booklets of the exam takers to replace the "name card" system used in previous exams. The complete list of passers of October 2014 Philippine Bar Exam are now available here. Comments or suggestions about "2014 Bar Exam results Philippines Bar Passers (Y – Z)" is important to us, you may share it by using the comment box below.